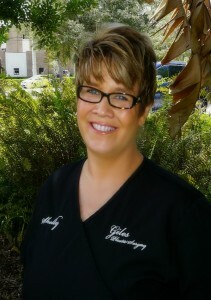 Shelly Sampsell has been working with Dr. Giles for 17 years. She finds working in the plastic surgery field rewarding because people don’t necessarily have to have cosmetic surgery. For most patients, it is an elective surgery they decide to do because they want to better themselves. It is great to follow my patients on their journey and I love the people I work with. Dr. Giles is a skilled plastic surgeon changing people’s lives everyday and he also has an excellent bedside manner, our patients feel very comfortable with him. Shelly worked with Dr. Giles when he was in Erie, Pennsylvania and relocated to Florida with him when he began his practice here. Shelly is a huge Pittsburgh sports fan and when she’s not working, she loves spending time with her granddaughter, Teagan. With Shelly at your side, your visit to Giles Breast & Body Plastic Surgery is sure to be a pleasant one!